heal and find love. But deep down, he knows a future together is doomed: he wants a family and Emerson has made it obvious she doesn’t feel the same. war vet’s painful past destroy love's future? Loving the Sergeant is a standalone novel in the D.E.V.I.N. series of moving romantic military suspense novels. If you like conflicted characters, heart-wrenching chemistry, and high-stakes drama, then you'll love Katina Gavin's powerful novel. Buy Loving the Sergeant to take a courageous journey into the heart today! A secret assignment brought them together. Will a shared heartache make them a family? As Dominic and Olivia try to get on the same page about their dream of a big family, life takes an unexpected turn. 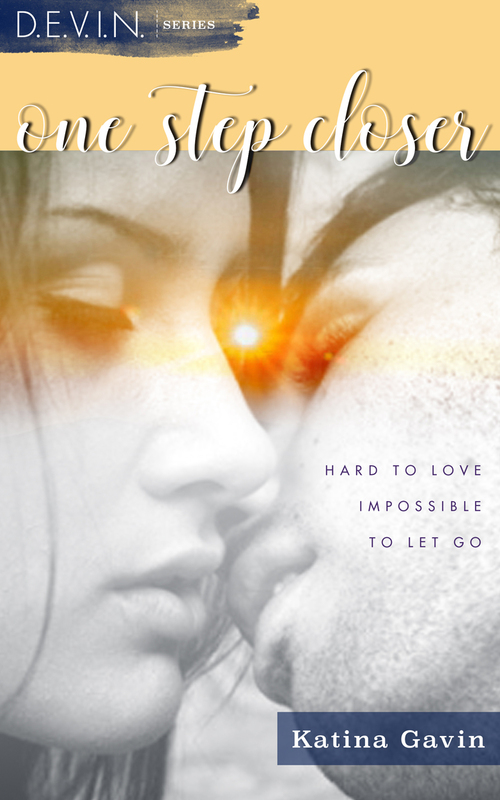 Can their love survive a tragic twist and the opportunity of a lifetime? A Dozen Reasons is the fourth book in the D.E.V.I.N. series of military romantic suspense novels. If you like explosive chemistry, complex characters who want more than just passion, and the power of family ties, then you'll love Katina Gavin's captivating series. Angel has just one assignment left. After burning out from years with the SEALs and the DEA, he's ready to settle down and start a new chapter in his new life. When the investigation of a double homicide leads him to Lindsey's door, he knows that she's the one. But eight years after burying her husband, can Lindsey learn to let go and try again? Devin's superior intellect makes him America's most precious asset. He may be able to develop futuristic weapons for the U.S. military, but under constant protection for his incredible and dangerous brain, love has never been in the cards. When his handlers see the way Devin acts around Lindsey's sweet sister Jamie, they conspire to get the two of them together. But can they convince Lindsey and Jamie's hard-nosed father that Devin is worth the trouble? Joe lives for his job with the SEALs, but that doesn't leave much room for a relationship. Lindsey's other sister Sydney refuses to become either a Navy wife… or a Navy widow. She won't tie the knot with Joe until his retirement is official. Who will win out: the Navy or their love? Beginnings is the first book in the D.E.V.I.N. series of military romantic suspense novels. If you like sizzling chemistry, compelling characters, and thrilling whodunnits, then you'll love Katina Gavin's absorbing series. Joe Running Deer has spent the last thirteen years in the SEALs and loved every minute. He has also loved Sydney Wheeler for almost as long. She’s turned down all his marriage proposals, but that hasn’t stopped him from loving her. He’s decided to give her what she wants but when he returns from his last mission, she’s gone. Sydney’s on the run and Joe’s gut is telling him she’s in trouble, it’s time to bring her home so he can protect her. A virtuous, heartbroken marine. A romance-hungry virgin. Do they have to pick and choose between love… and lust? As Cameron’s newfound abstinence keeps Kim from getting the intimacy she craves, their relationship takes a turn. Is their love strong enough to make it to the honeymoon? When Love Takes Over is the third book in a series of steamy contemporary romance novels. If you like sizzling foreplay, real-life intimacy, and stories of true love, then you’ll love Katina Gavin’s emotional tale. giveaways, monthly newsletters and more!